The MAX7219 controller is manufactured by Maxim Integrated is compact, serial input/output common-cathode display driver that could interface microcontrollers to 64 individual LEDs, 7-segment numeric LED displays of up to 8 digits, bar-graph displays, etc. 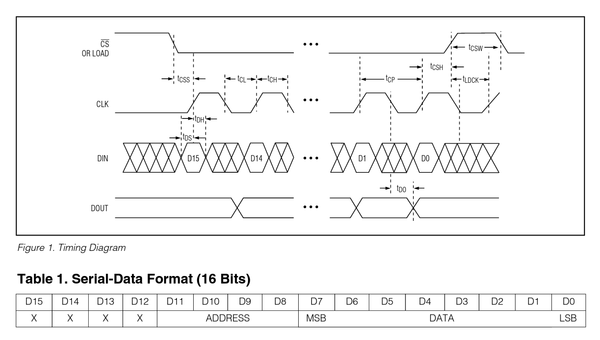 Included on-chip are a BCD code-B decoder, multiplex scan circuitry, segment and digit drivers and an 8×8 static RAM that stores each digit. The MAX7219 modules are very convenient to use with microcontrollers such as ATtiny85, or, in our case the Tinusaur Board. They have an input bus on one side and output bus on the other. This allows you to daisy chain 2 or more modules, i.e. one after another, to create more complicated setups. The modules that we are using are capable of connecting in a chain using 5 small jumpers. See the picture below. This is sufficient to connect to the MAX7219 module and program it. Communicating with the MAX7219 is relatively easy – it uses a synchronous protocol which means that for every data bit we send there is a clock cycle that signifies the presence of that data bit. In other words, we send 2 parallel sequences to bits – one for the clock and another for the data. This is what the software does. We write bytes to its internal register. MAX7219 controls the LEDs in the matrix. That also means that we don’t have to circle through the array of LEDs all the time in order to light them up – the MAX7219 controller takes care of that. It could also manage the intensity of the LEDs. So, to use the MAX7219 modules in a convenient way we need a library of functions to serve that purpose. First, we need some basic functions in order to write to the MAX7219 registers. Writing a byte to the MAX7219. Writing a word (2 bytes) to the MAX7219. Now that we can send bytes to the MAX7219 we can start sending commands. This is done by sending 2 byes – 1st for the address of the internal register and the 2nd for the data we’d like to send. There is more than a dozen of register in the MAX7219 controller. Sending a command, or a word, is basically sending 2 consecutive bytes. The function implementing that is very simple. It is important to note here the line where we bring the CS signal back to HIGH – this marks the end of the sequence – in this case, the end of the command. A similar technique is used when controlling more that one matrix connected in a chain. Next step, before we start turning on and off the LEDs, is to initialize the MAX7219 controller. This is done by writing certain values to certain registers. For convenience, while coding it we could put the initialization sequence in an array. We just need to send the 5 commands above in a sequence as address/data pairs. Next step – lighting up a row of LEDs. This is very simple – we just write one command where 1st byte is the address (from 0 to 7) and the 2nd byte is the 8 bits representing the 8 LEDs in the row. It is important to note that this will work for 1 matrix only. If we connect more matrices in a chain they will all show the same data. The reason for this is that after sending the command we bring the CS signal back to HIGH which causes all the MAX7219 controllers in the chain to latch and show whatever the last command was. This is a simple testing program that lights up a LED on the first row (r=1) on the right-most position, then moves that on the left until it reaches the left-most position, then does the same on one row up (r=2) )until it reaches the top (r=8). This testing code doesn’t do much but it demonstrates how to communicate with the MAX7219 controller. All of the functions mentioned above are part of the MAX7219LED8x8 library. Its source code is available at https://bitbucket.org/tinusaur/max7219led8x8. 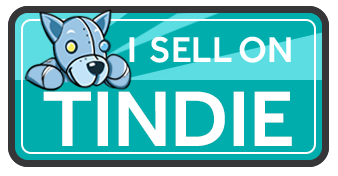 If you already have a Tinusaur Board we have the Shield GAMEx3 for it to connect a MAX7219 module easier to your ATtiny85 microcontroller. The Gametinu is a small game platform that you could build yourself using the Shield GAMEx3 and a few more parts and tools. MAX7219 driver for LED Matrix 8×8. After playing for awhile with that SSD1306 OLED display I decided to add few more things to the SSD1306xLED library and the ability to print numbers seamed to be an important one. There is already a function in the library that outputs strings so I needed only the conversion from int to decimal string. So I used another function usint2decascii that I previously wrote for another project OWOWOD which code in turn I borrowed from a third project LCDDDD – a LCD Direct Drawing Driver for PCD8544 based displays such as Nokia 3310 LCD. The weird LCDDDD name comes from the fact that it outputs the data directly to the LCD instead of storing it into a buffer first and then periodically outputting it to the LCD – this is unlike most of the popular LCD drivers. The function requires a small buffer to store the result. 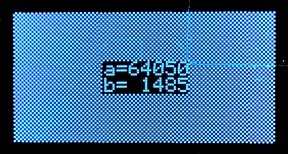 Since the largest number is 65535 – that is 0xFFFF in hex, 5+1 bytes are needed for that buffer. The ssd1306_numdec_font6x8 only prints the number while ssd1306_numdecp_font6x8 prints numbers the same way but right-aligned and 5-digit padded. It prints “a=”, “b=” and then their values. Both numbers are right-aligned and left-padded with up to 4 spaces. The latest test program in SSD1306xLED includes examples of how to use the ssd1306_numdec_font6x8 and the ssd1306_numdecp_font6x8 functions. The SSD1306xLED library is at SSD1306xLED page. 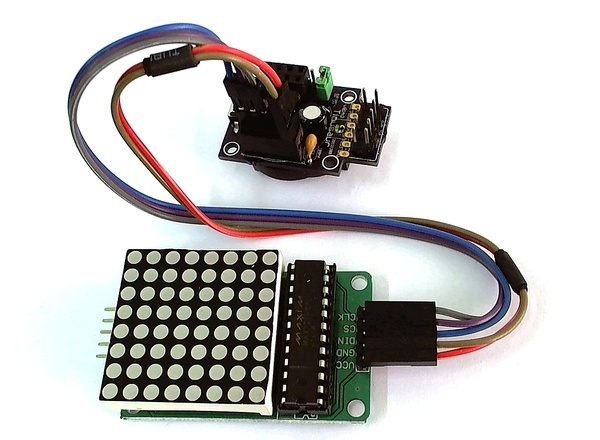 MAX7219LED8x8 is a C library for working with the MAX7219 display driver to control 8×8 LED matrix. 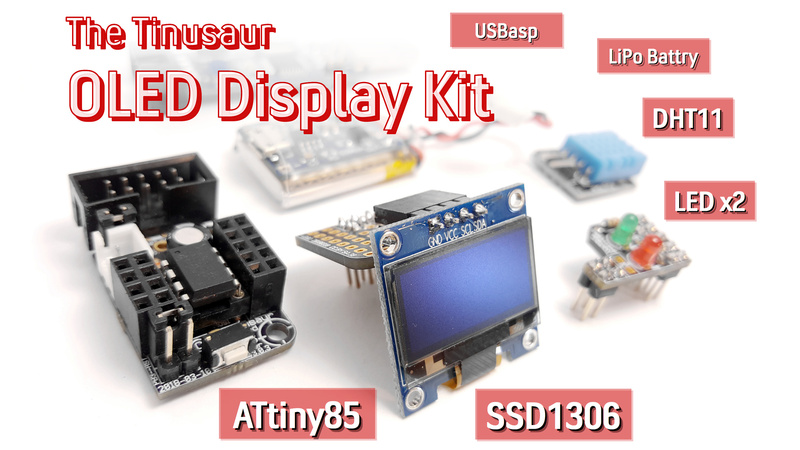 It is intended to be used with the Tinusaur board but should also work with any other board based on Atmel ATtiny85 or similar microcontroller. The MAX7219 is manufactured by Maxim Integrated is compact, serial input display driver that could interface microcontrollers to 64 individual LEDs such as 8×8 LED matrix. Only one external resistor is required to set the segment current for all LEDs. To put that in simpler words – with the MAX7219 driver it is possible to control 8×8 LED matrix using just 2 wires serial interface – one for the sync clock and one for the data. There is another wire that could be used to enable/disable the communication with the chip. The maximum frequency for the serial interface is 10MHz. The LED matrix 8×8 is connected almost diretcly to the MAX7219 driver – only few external components are required. Working with MAX7219 is very simple – turning on and off individual LEDs is done by sending 2-bytes command to the driver containing the row and the byte which bits define which LED value to set. There are also few other command that are needed during the initialization process. The library supports short buffer – only 8 bytes in size – to keep the values before sending them to the driver. MAX7219LED8x8 is written in plain C and does not require any additional libraries to function except those that come with the WinAVR SDK. Please continue to MAX7219LED8x8 page to see full source code the rest of the article.